Always on a road to never ending expansion has been the personal style and motto for founder Alice Milan Noravian. Now teaming up with other talented and elevated professionals, Milan Consi is designing and building homes that are based on more than logistics and financial gain. A Milan Consi home is designed with the vision of a client in mind who will love and enjoy every meticulous detail, color, and design of each home carefully crafted with individuality and care. The level of quality, workmanship, and style is unsurpassed in our field. 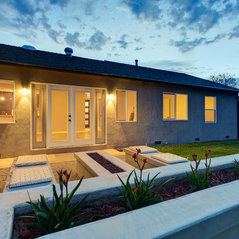 Our work elevates the standard in the industry with meticulous attention to detail and high level of integrity during the process of bringing a home that has aged and deteriorated to life, with new colors, materials, and products that define the lifestyle desired most in the communities we love. Learning to tap into our higher wisdom and creativity was a long and enlightening journey that has led Alice Milan to the present moment, where inspiration and intuition are the key components in the vision of each home created. A Milan Consi brand of home is an inspired home that is created just for you! Contact us today to learn how we can partner together for your project. From Eyesore to Eyecatching in 5 months! 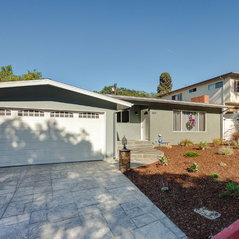 An old and tired classic to a Elegant and Vivacious Stunner in West Hills, CA. Alice Milan is efficient, trustworthy and a pro at her work. Highly recommend her to anyone looking to re-design their home. i worked with Alice, she got me exactly the property that I desired. I was very pleased and would use their services again. She did an amazing job in a short time, beyond my expectations. Great vision and style, turned an ordinary home in shambles to an extraordinary one.